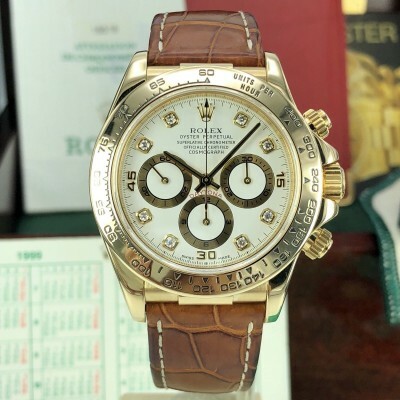 The Daytona Grandfather, ref. 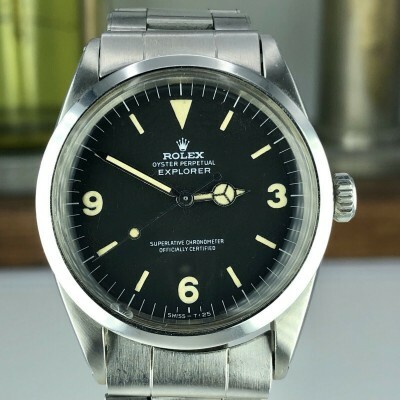 6234 produced from 1955 to 1961 and here is an example of the, what makes this particular example Extremely rare that it’s from the Last production 1961 with caliber 72B . 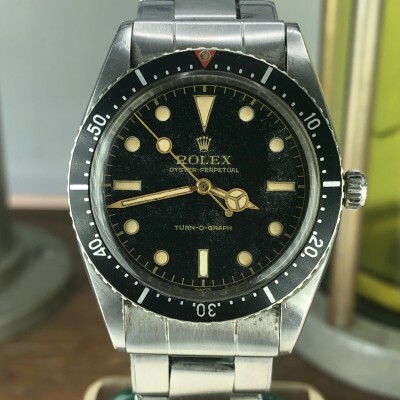 from 1975 SN: 6xxxxx. 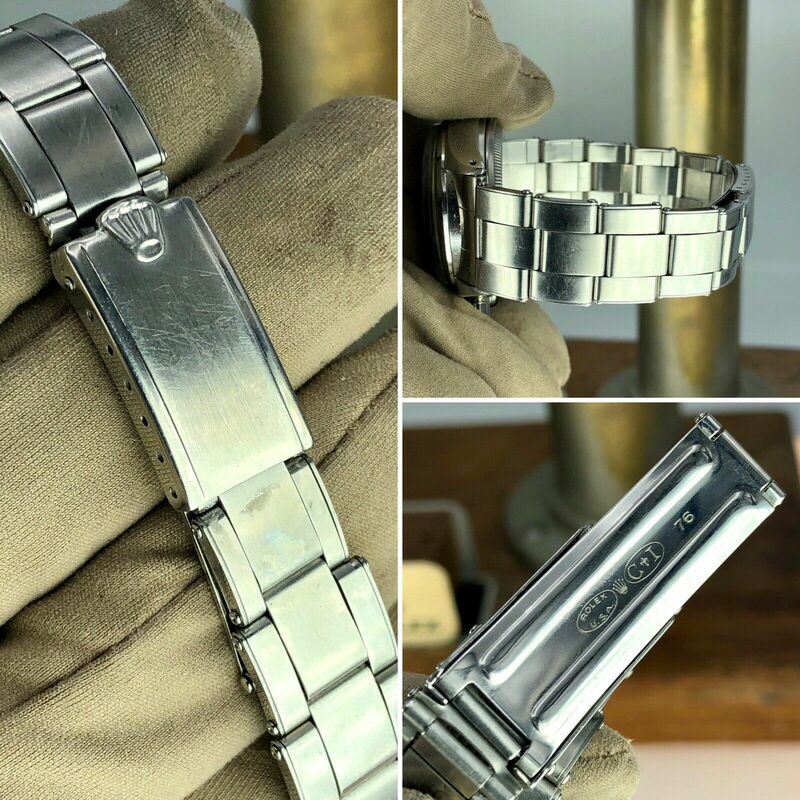 Case : Very thick in Great condition recently polished. 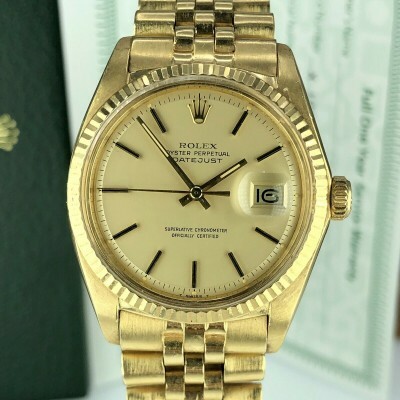 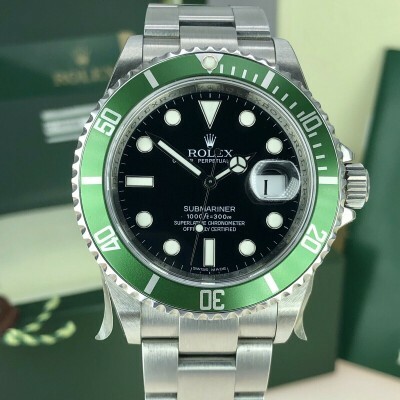 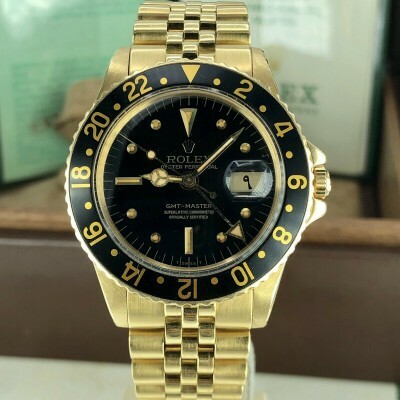 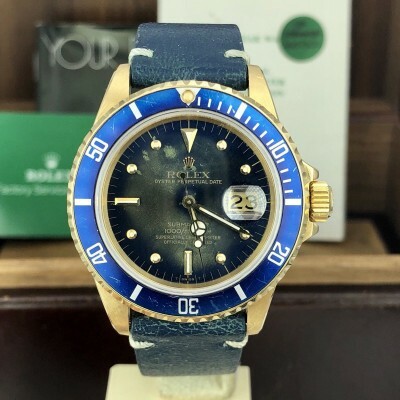 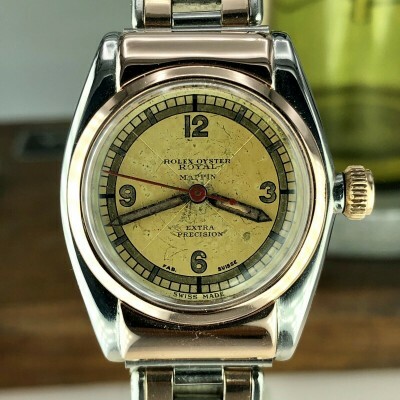 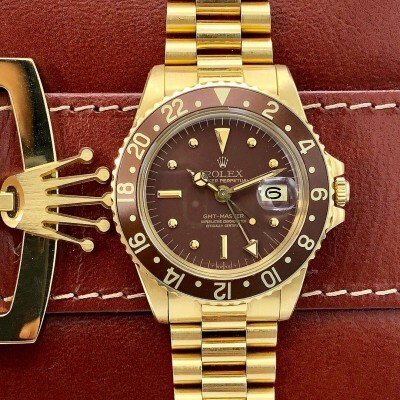 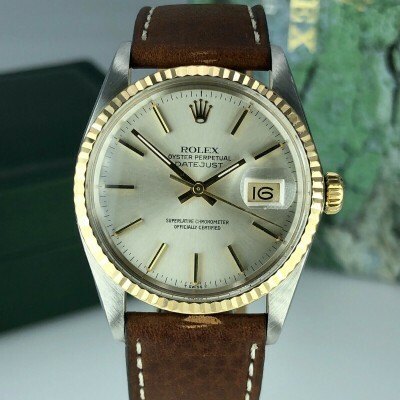 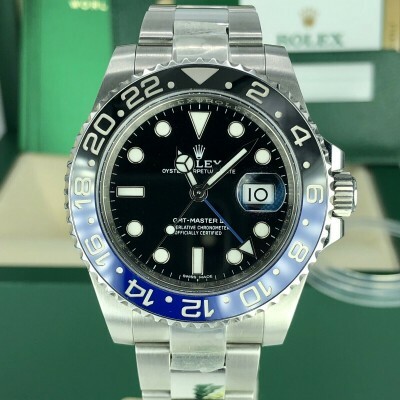 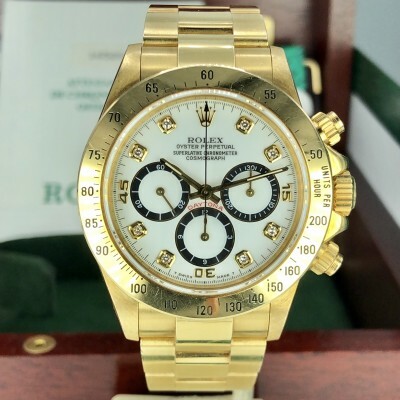 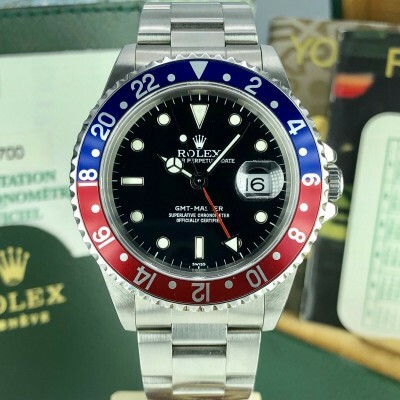 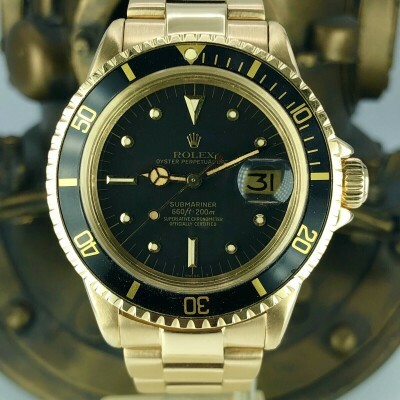 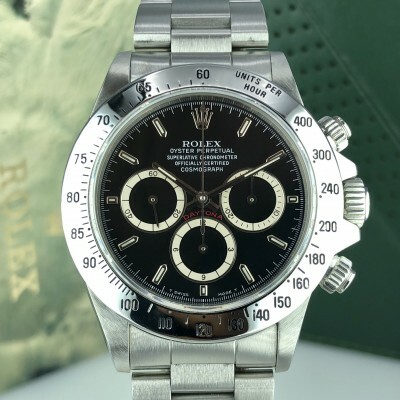 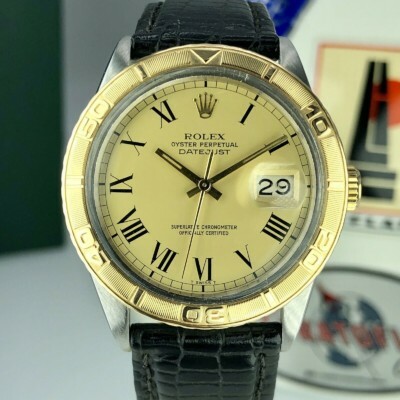 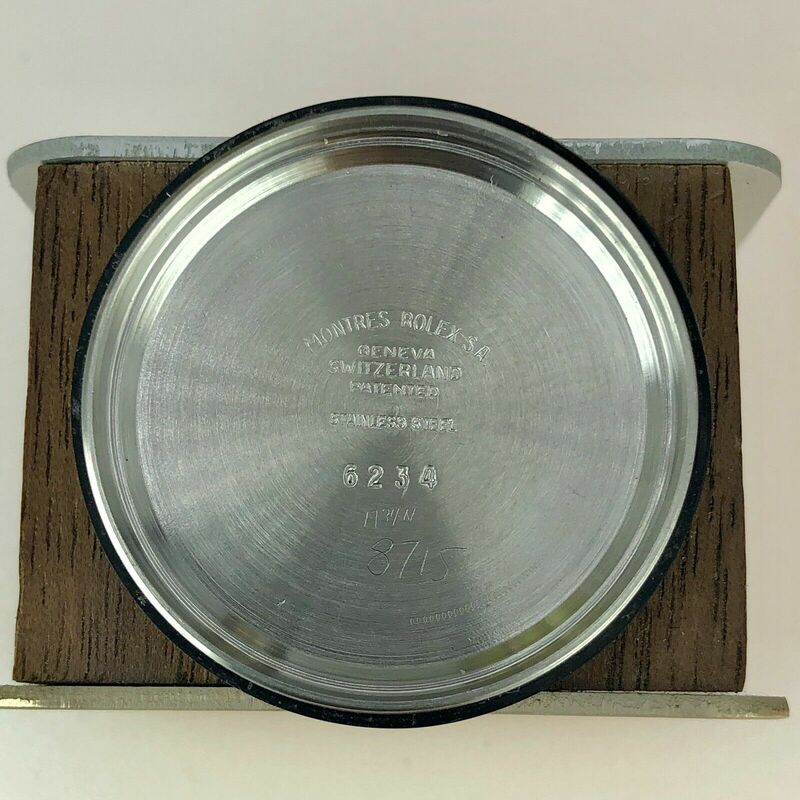 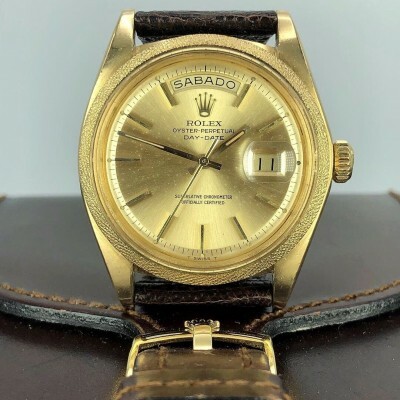 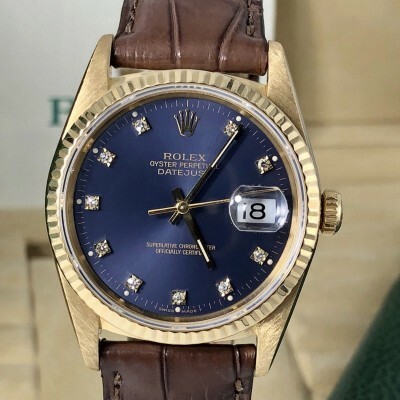 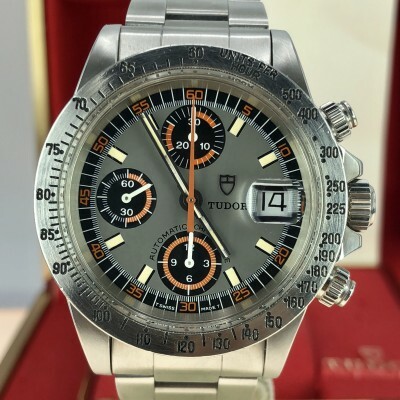 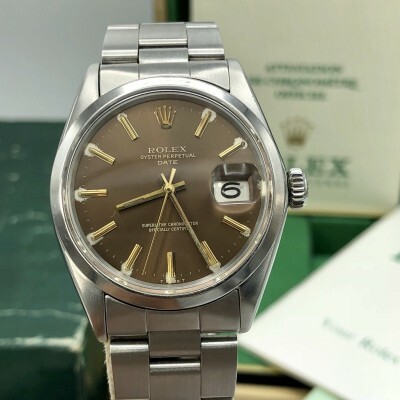 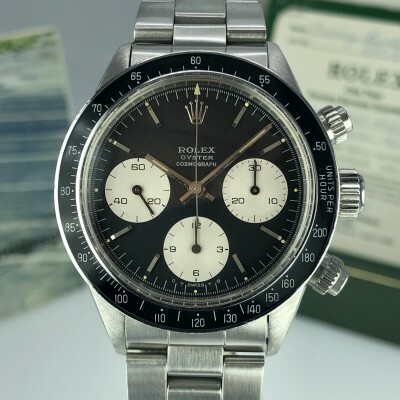 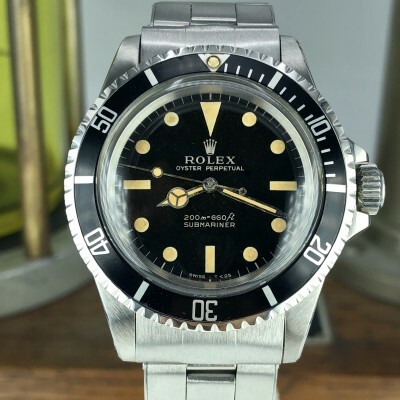 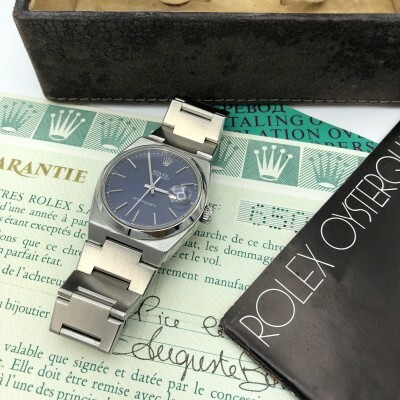 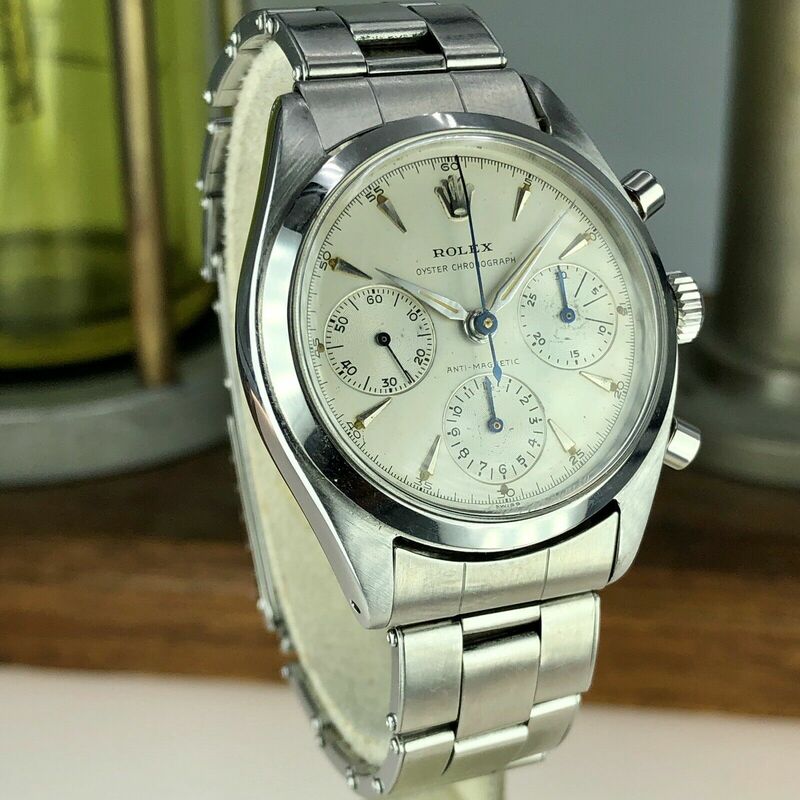 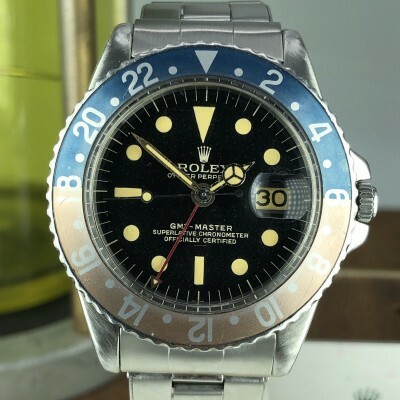 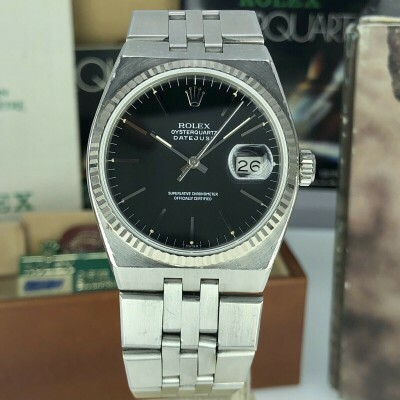 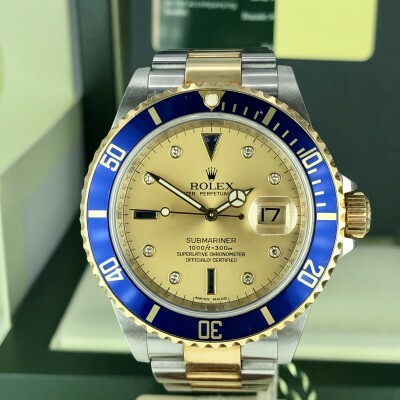 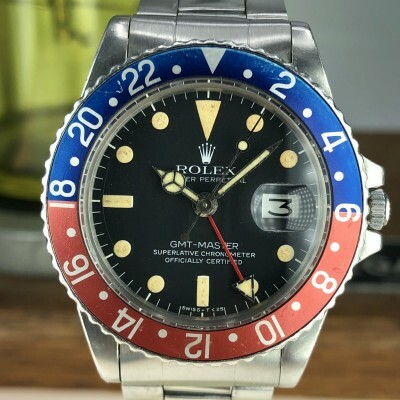 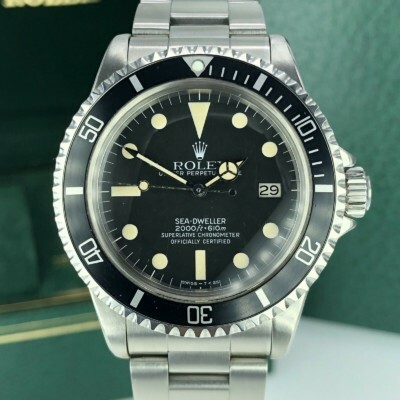 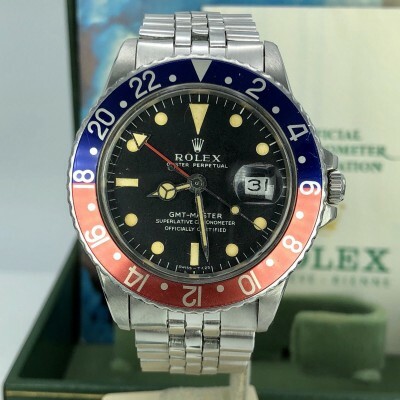 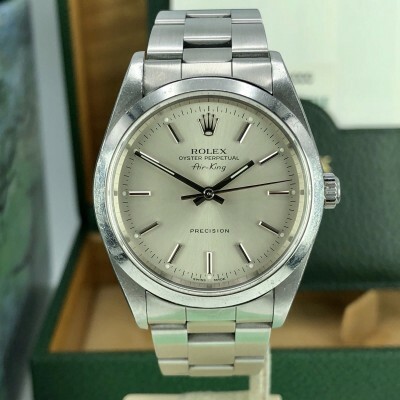 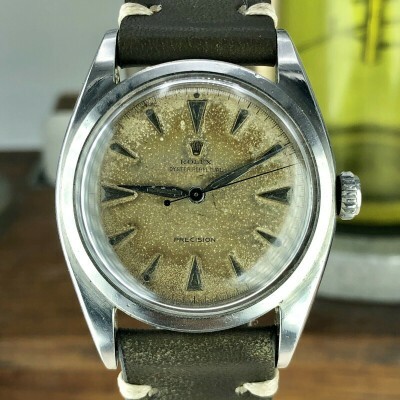 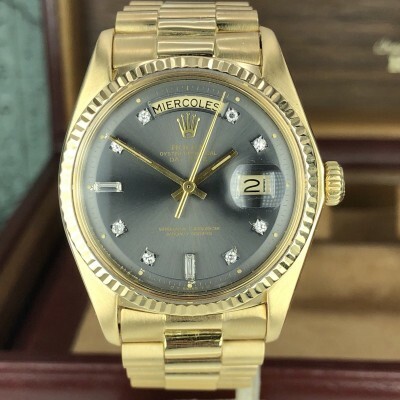 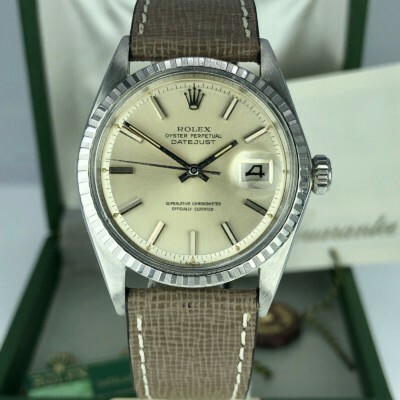 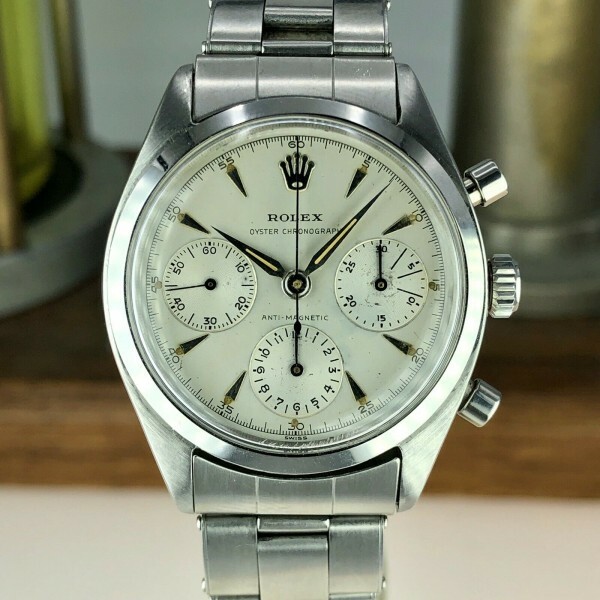 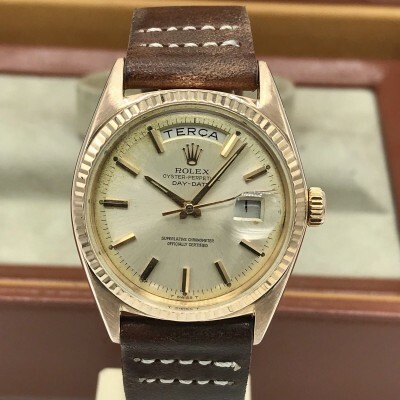 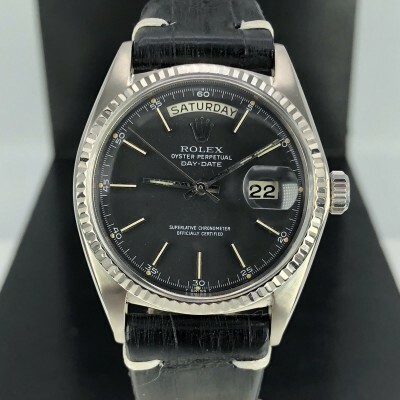 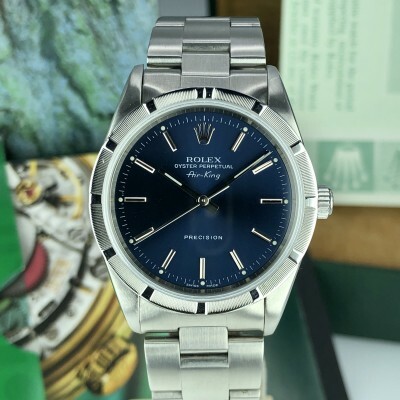 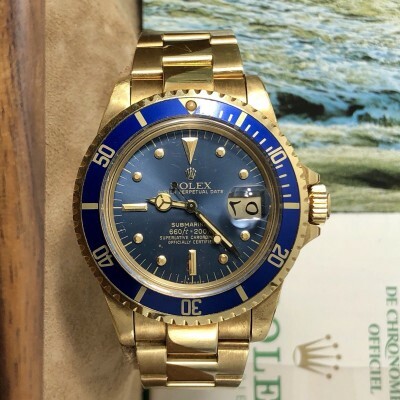 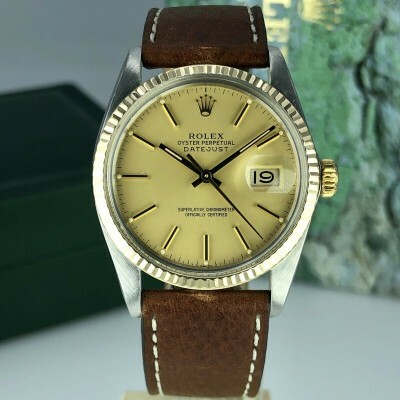 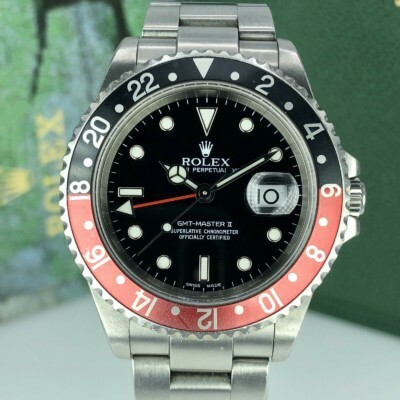 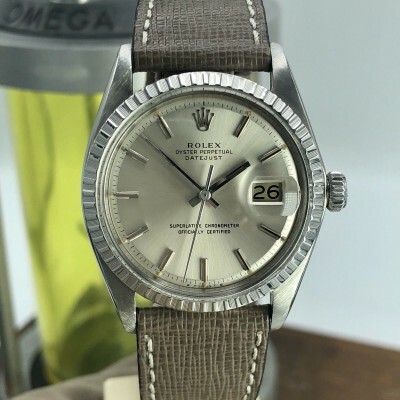 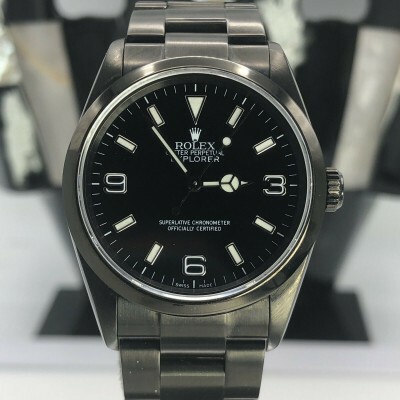 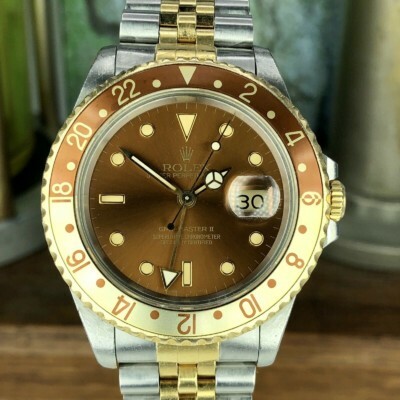 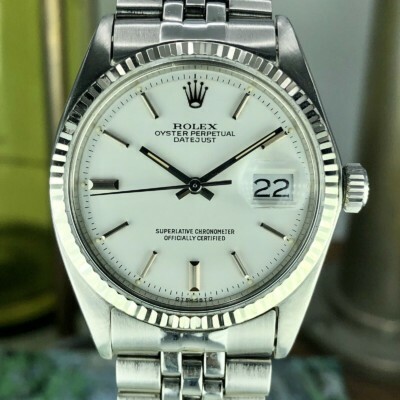 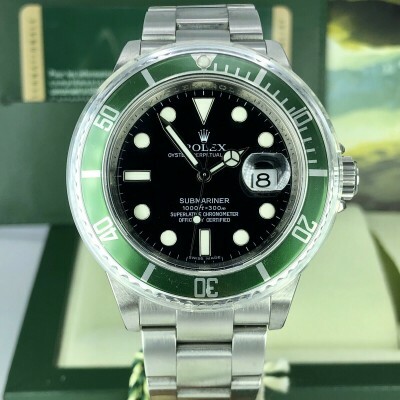 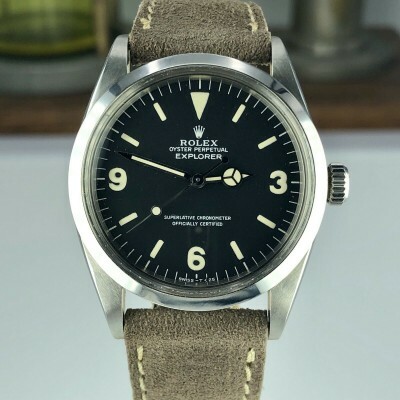 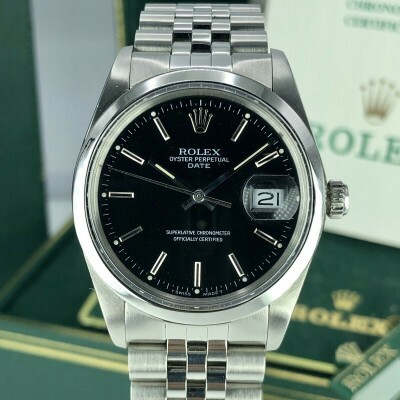 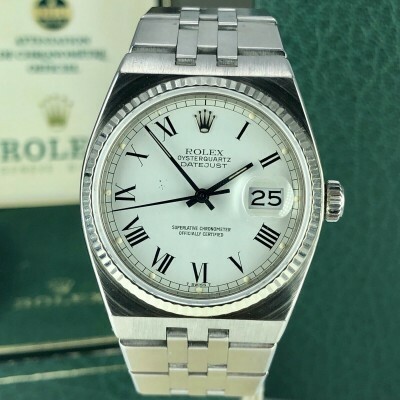 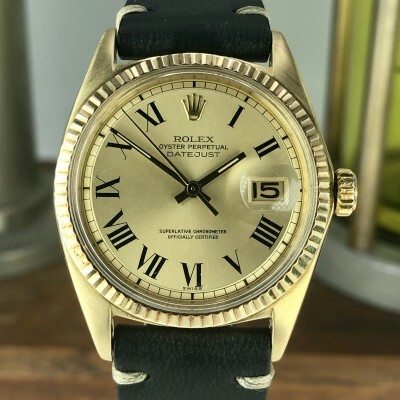 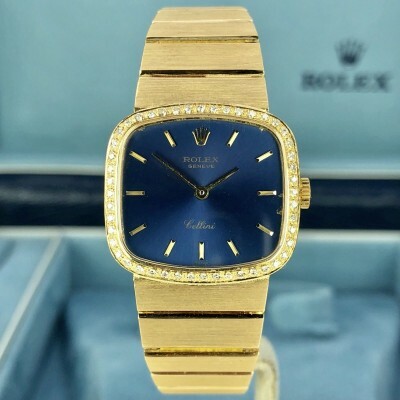 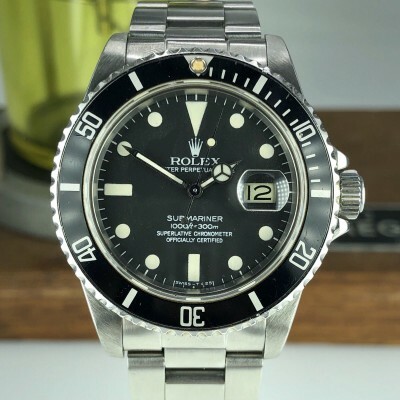 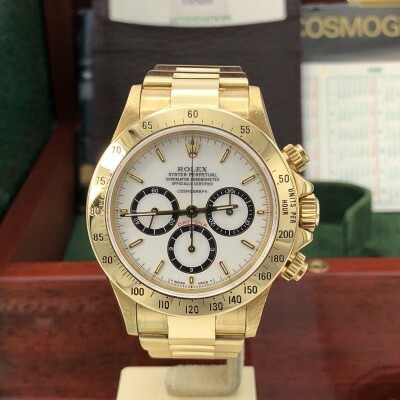 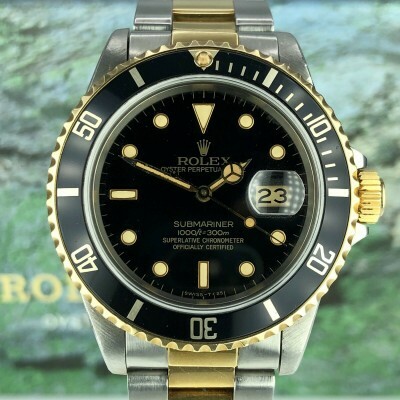 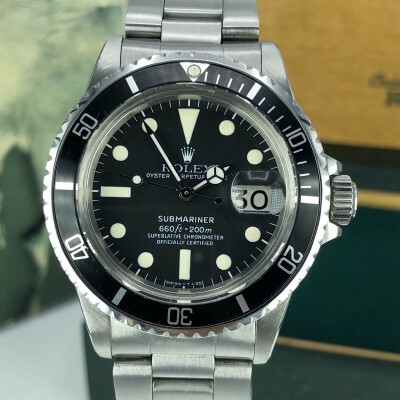 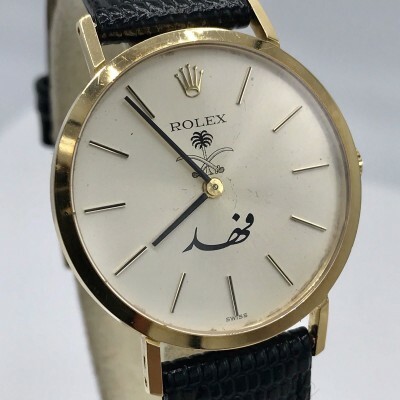 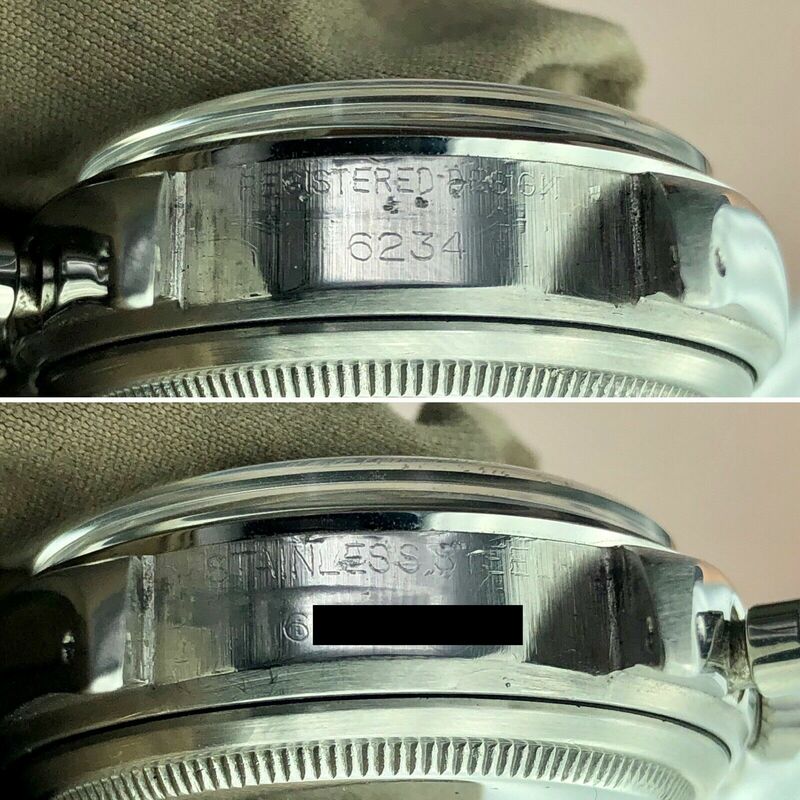 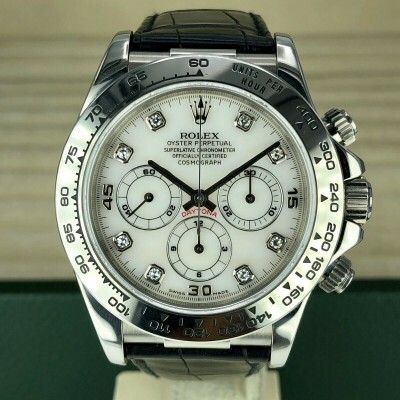 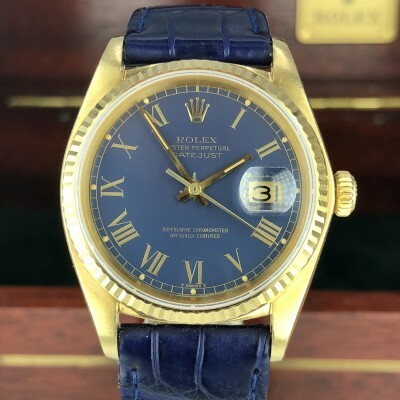 has the original pushers, Crown and bezel. 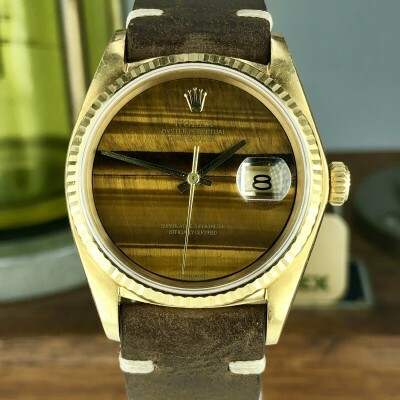 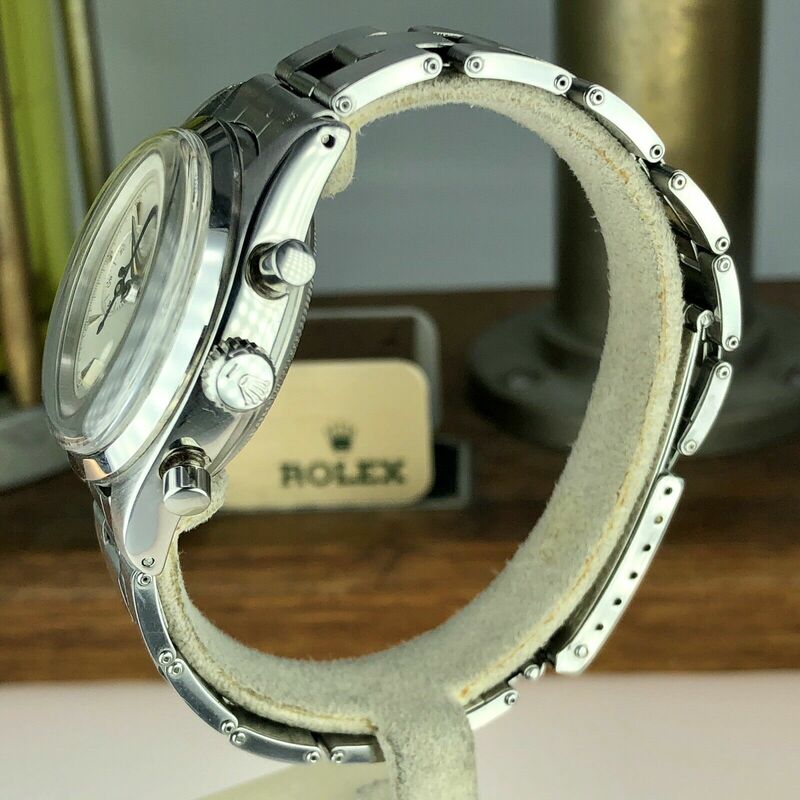 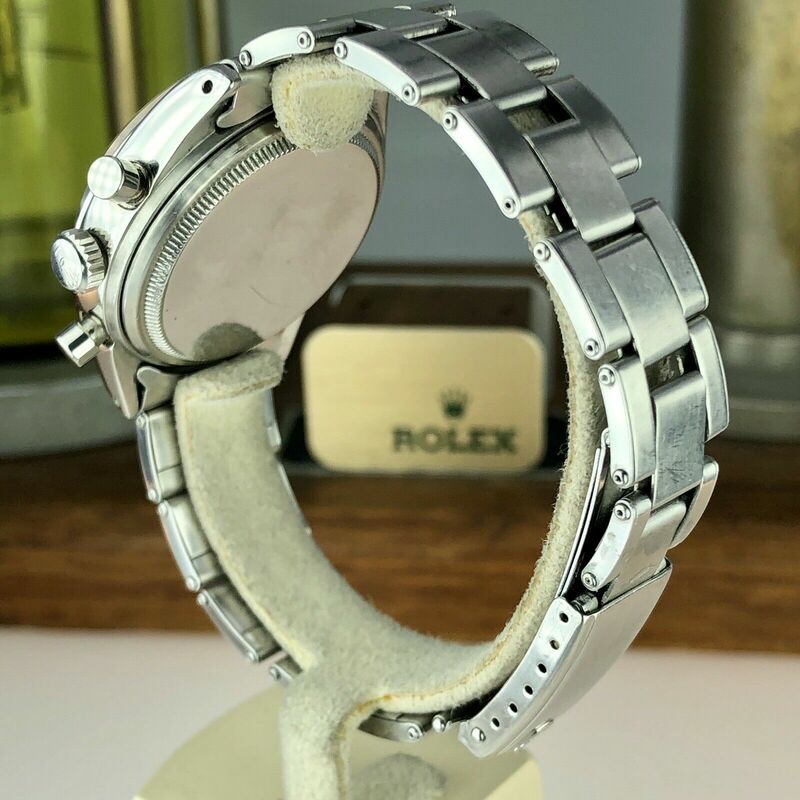 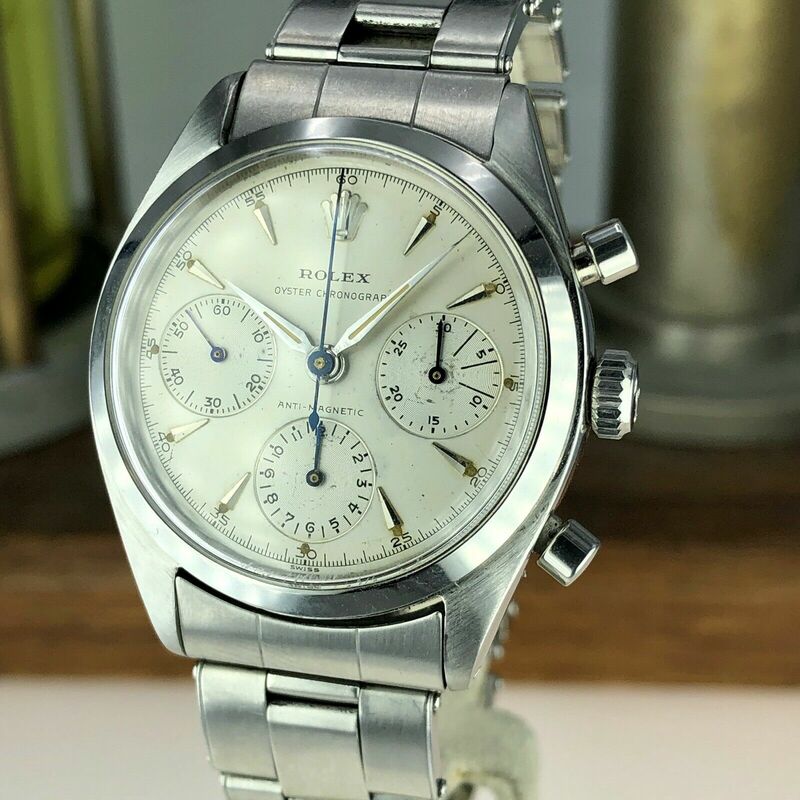 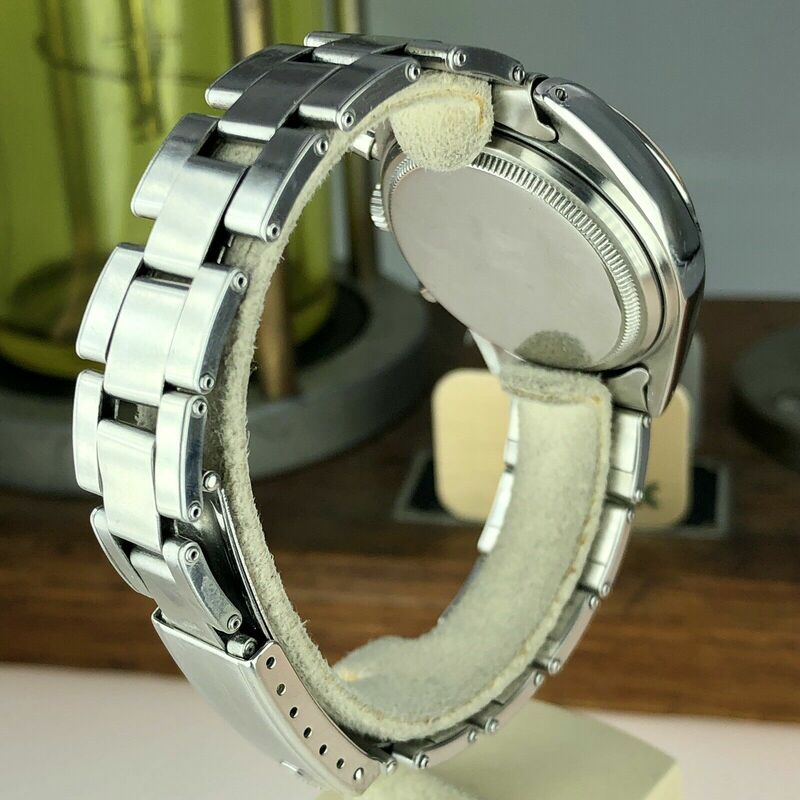 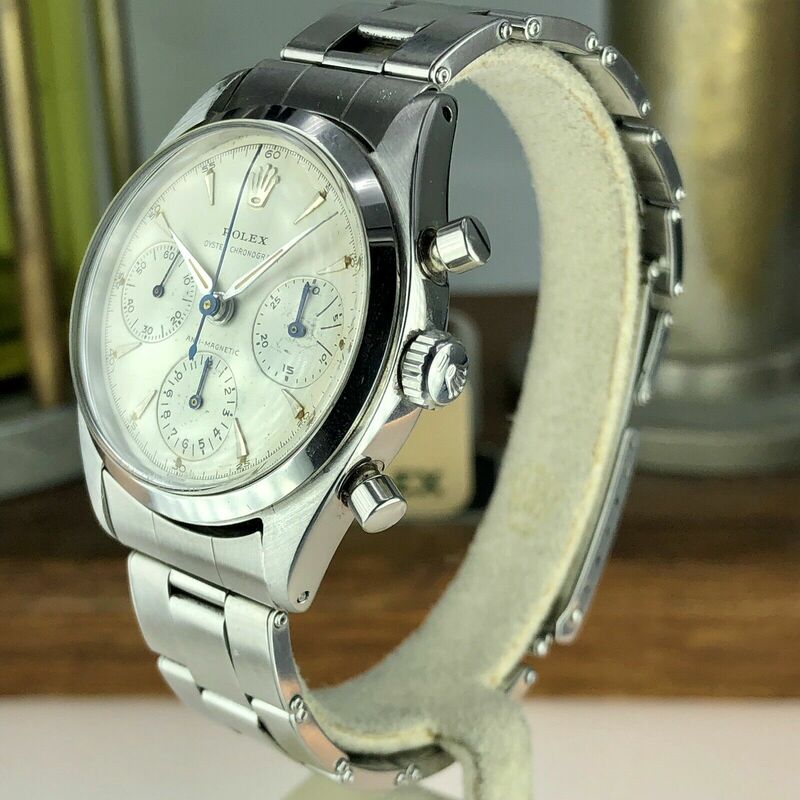 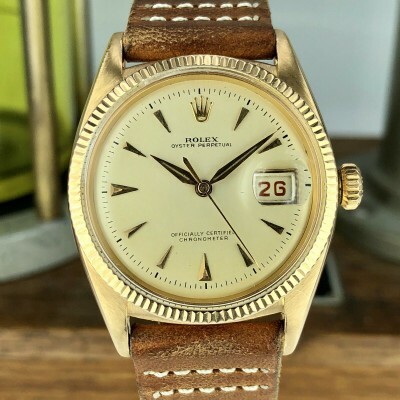 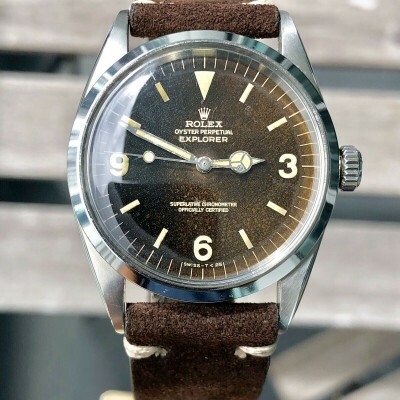 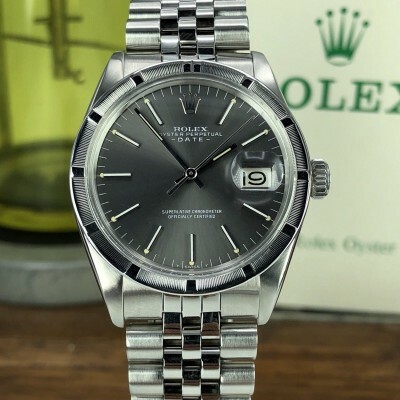 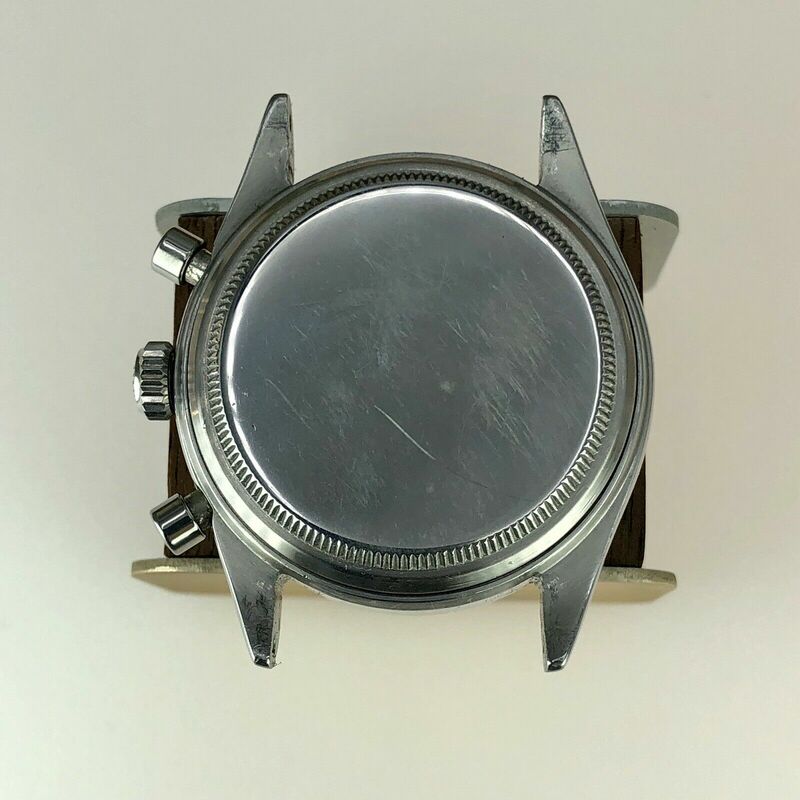 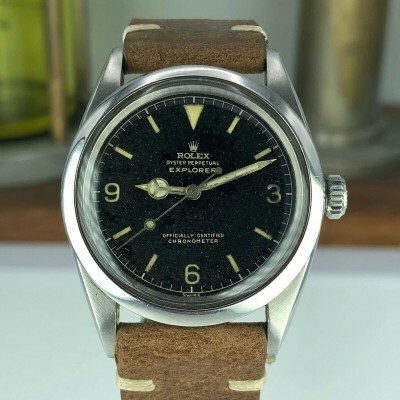 Bracelet: stretch Original rolex C+I from 1976. 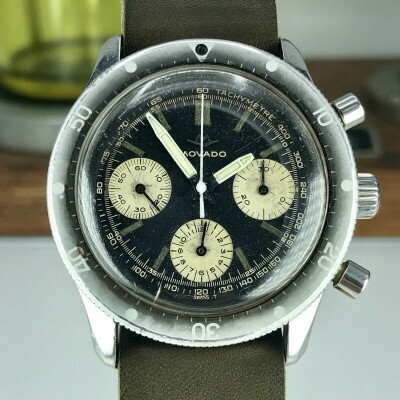 Dial: Perfect condition Dial with rare blue hands (the second & the chronograph hands) all the printing still visible, All the lime plots are still intact except at 6 o’clock it’s 50% intact. 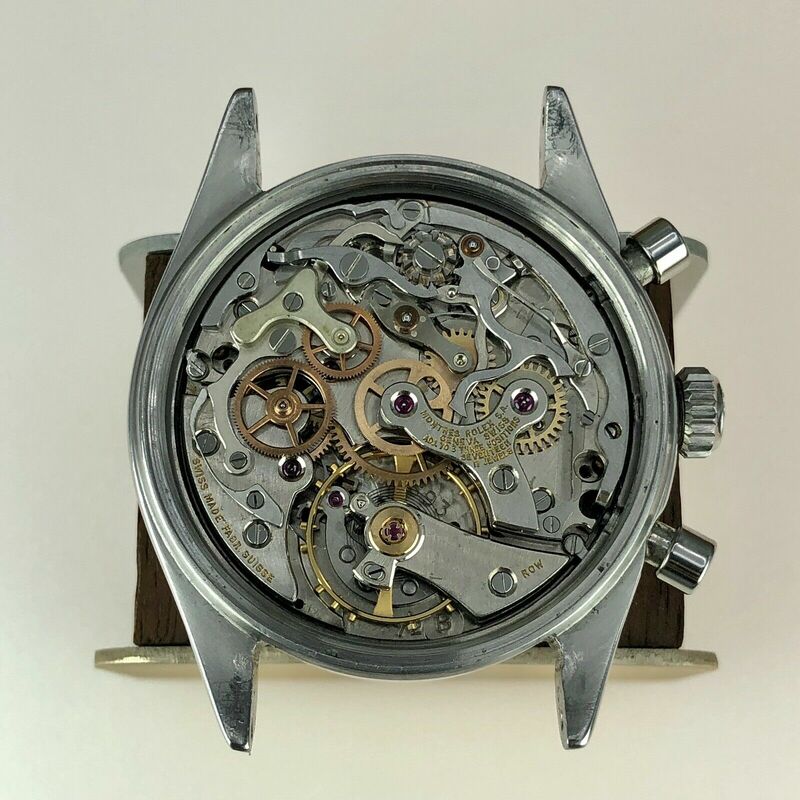 Movement: valjoux 72B just serviced and keeps perfect time.